Since 1935 this chocolate bar has always had a place in our range as well as in the hearts of chocolate-lovers. 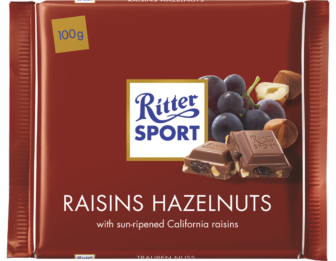 The secret to its success is the hand-picked sultanas from sunny California and crunchy hazelnut pieces coated in milk chocolate. After all, good taste is always currant.